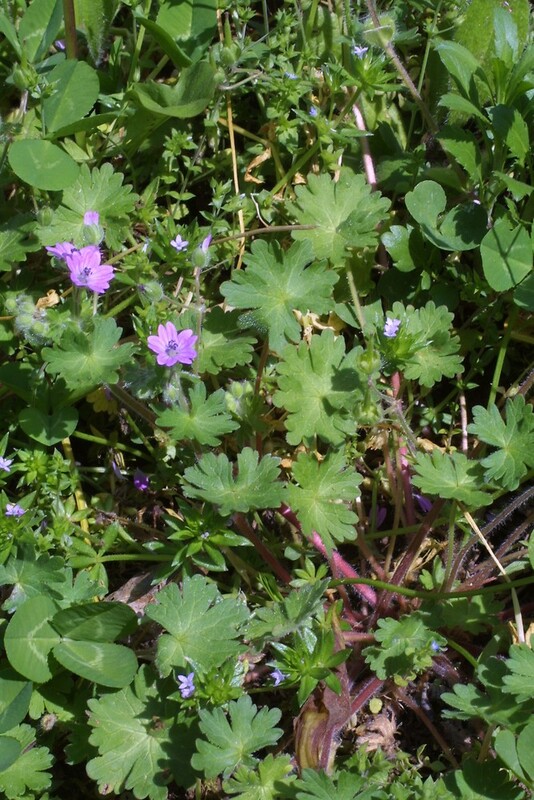 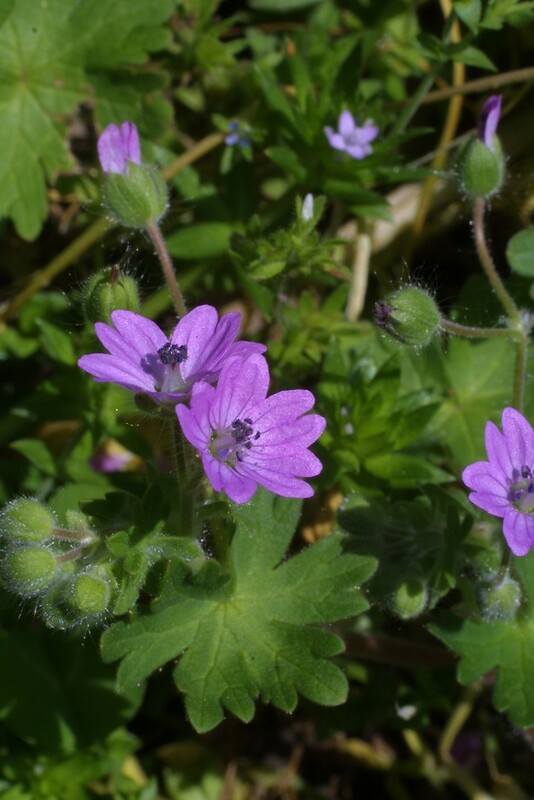 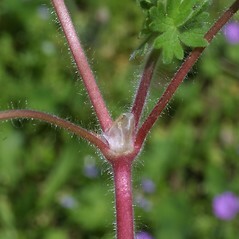 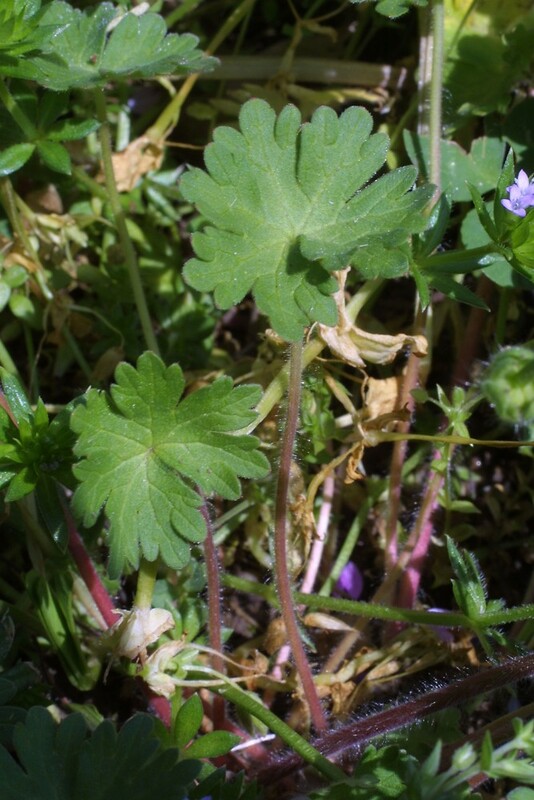 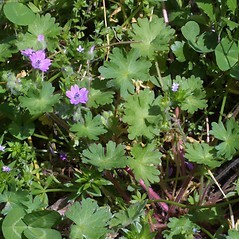 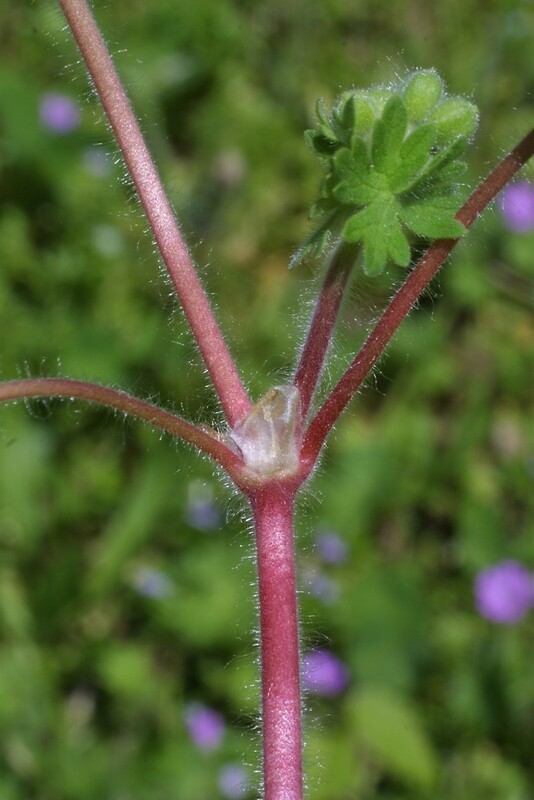 Dove's-foot crane's-bill is native to Europe and a widespread introduction in North America, where it can be an aggressive invader. 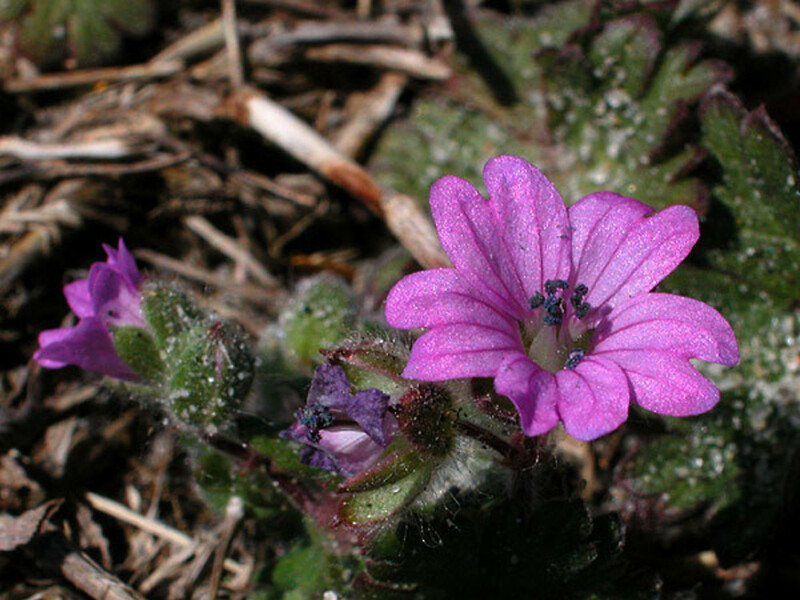 It is found in all New England states. 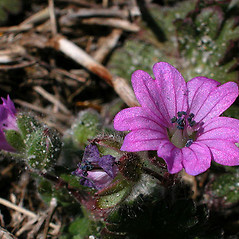 mericarp bodies smooth, densely ciliate near the base, seeds +/- smooth, and petals 3.5–4.5 mm long (vs. G. molle, with mericarp bodies cross-wrinkled, eciliate; seeds striate, and petals mostly 4.5–8.5). 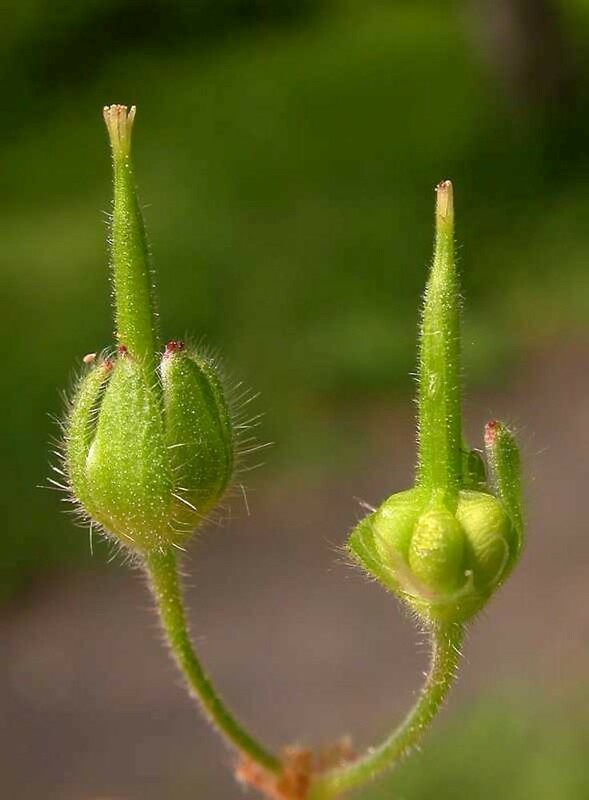 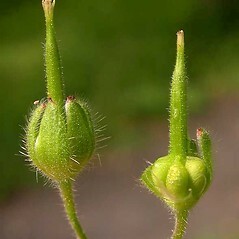 mericarp bodies pubescent, plant perennial from a short, vertical rhizome, and petals 7–11 mm (vs. G. molle, with mericarp bodies glabrous, plants annual, and petals mostly 4.5–8.5 mm long). 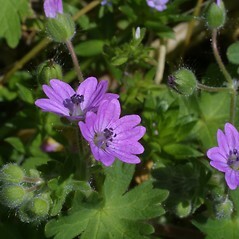 dove’s-foot crane’s-bill. 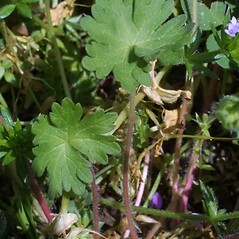 CT, MA, ME, NH, RI, VT. Fields, lawns, roadsides, waste areas.